Welcome to my gallery. Scroll to the bottom to see the latest promotions! My name is Amy Bolin and I've been painting & sculpting fun, whimsical canine artwork for over 15 years. This gallery represents most of my work from the beginning up through current projects. 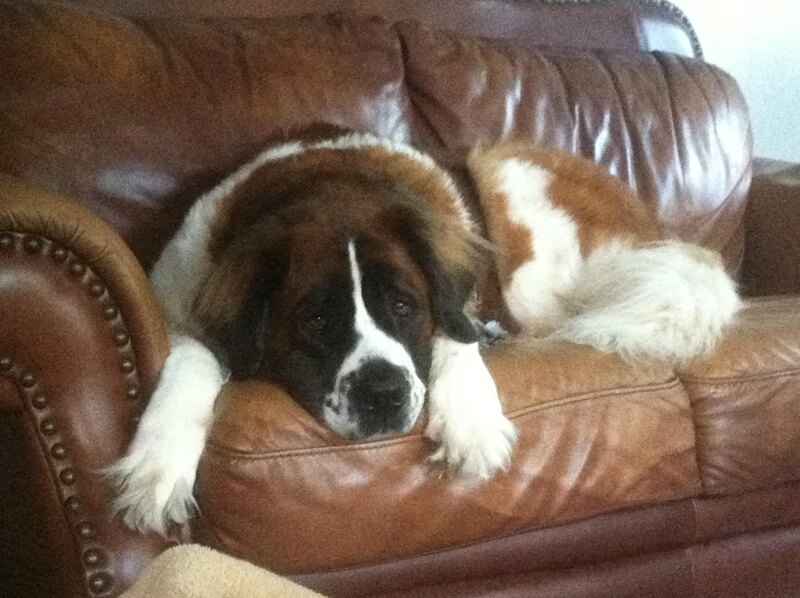 I have a soft spot for Saint Bernards having been owned by one most of my life. I also enjoy Newfoundlands, Bernese Mountain Dogs, Old English Sheepdogs, Alaskan Malamutes, Siberian Huskies, Norwegian Elkhounds, Great Pyrenees, Shetland Sheepdogs, Golden Retrievers, and I am continually exploring new breeds. I do not take on commissioned portraits - my schedule does not allow for the time required to complete those projects to the best of my ability. I am currently only painting on a very limited schedule, any new artwork will be what happens to jump off my brush at any given time. Shop by breed to see a complete gallery of images currently available for that breed. Stop by my "Yard Sale" page for discontinued items or almost as good as perfect seconds at reasonable prices. Visit "Sewn By Dawn" to find quilted and sewn creations featuring art prints by Dawn, my mom! Thank you for stopping in, I hope you enjoy your visit. Limit of ONE code per order. Discounts that do not require a code and coupon codes may be combined. Coupon Code WELCOME will take 15% off your entire order - welcome to my new site! One use per customer. No expiration. Visit my "SHOP TO SUPPORT RESCUES" page to find coupon codes that will help support rescues & give you a 5% discount too!